The Dremel 4000 variable-speed high-performance rotary tool kit offers the highest performance and most versatility of all Dremel rotary tools. The increased strength of its motor plus electronic feedback circuitry enables consistent performance at all speed levels. 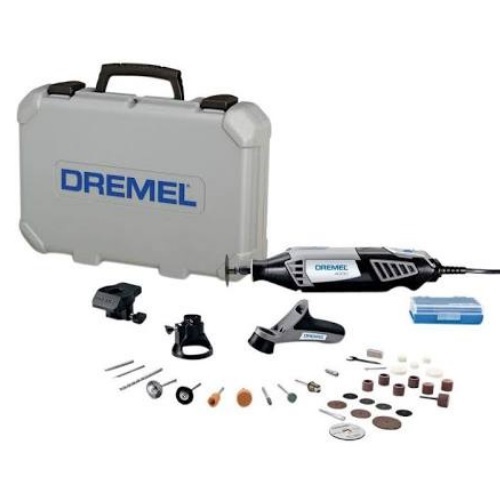 Dremel 4000 can be used with all of our high-performance attachments, as well as all existing Dremel rotary tool accessories and attachments, so you can complete the widest range of projects. The 4000 Series rotary tool kit includes three attachments and 34 accessories. Two year warranty.